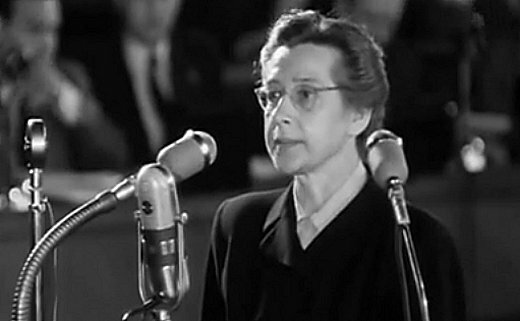 On June 8th of 1950, nine months after being arrested by the Czech secret police on suspicion of leading a plot to overthrow the Communist regime, 48-year-old socialist politician Milada Horáková was found guilty of "high treason" following a show trial that was broadcast on national radio, and in which she remained defiant. On the 27th of that month, despite international outcry and a petition signed by, amongst others, Albert Einstein and Winston Churchill, Milada Horáková was executed at Prague's Pankrác Prison. The night before her death, she wrote the following letter to her 16-year-old daughter. In 1991, President Václav Havel posthumously awarded Horáková the Order of Tomáš Garrigue Masaryk. God blessed my life as a woman with you. As your father wrote in the poem from a German prison, God gave you to us because he loved us. Apart from your father's magic, amazing love you were the greatest gift I received from fate. However, Providence planned my life in such a way that I could not give you nearly all that my mind and my heart had prepared for you. The reason was not that I loved you little; I love you just as purely and fervently as other mothers love their children. But I understood that my task here in the world was to do you good by seeing to it that life becomes better, and that all children can live well. And therefore, we often had to be apart for a long time. It is now already for the second time that Fate has torn us apart. Don't be frightened and sad because I am not coming back any more. Learn, my child, to look at life early as a serious matter. Life is hard, it does not pamper anybody, and for every time it strokes you it gives you ten blows. Become accustomed to that soon, but don't let it defeat you. Decide to fight. Have courage and clear goals and you will win over life. Much is still unclear to your young mind, and I don't have time left to explain to you things you would still like to ask me. One day, when you grow up, you will wonder and wonder, why your mother who loved you and whose greatest gift you were, managed her life so strangely. Perhaps then you will find the right solution to this problem, perhaps a better one than I could give you today myself. Of course, you will only be able to solve it correctly and truthfully by knowing very, very much. Not only from books, but from people; learn from everybody, no matter how unimportant! Go through the world with open eyes, and listen not only to your own pains and interests, but also to the pains, interests and longings of others. Don't ever think of anything as none of your business. No, everything must interest you, and you should reflect about everything, compare, compose individual phenomena. Man doesn't live in the world alone; in that there is great happiness, but also a tremendous responsibility. That obligation is first of all in not being and not acting exclusive, but rather merging with the needs and the goals of others. This does not mean to be lost in the multitude, but it is to know that I am part of all, and to bring one's best into that community. If you do that, you will succeed in contributing to the common goals of human society. Be more aware of one principle than I have been: approach everything in life constructively—beware of unnecessary negation—I am not saying all negation, because I believe that one should resist evil. But in order to be a truly positive person in all circumstances, one has to learn how to distinguish real gold from tinsel. It is hard, because tinsel sometimes glitters so dazzlingly. I confess, my child, that often in my life I was dazzled by glitter. And sometimes it even shone so falsely, that one dropped pure gold from one's hand and reached for, or ran after, false gold. You know that to organize one's scale of values well means to know not only oneself well, to be firm in the analysis of one's character, but mainly to know the others, to know as much of the world as possible, its past, present, and future development. Well, in short, to know, to understand. Not to close one's ears before anything and for no reason—not even to shut out the thoughts and opinions of anybody who stepped on my toes, or even wounded me deeply. Examine, think, criticize, yes, mainly criticize yourself don't be ashamed to admit a truth you have come to realize, even if you proclaimed the opposite a little while ago; don't become obstinate about your opinions, but when you come to consider something right, then be so definite that you can fight and die for it. As Wolker said, death is not bad. Just avoid gradual dying which is what happens when one suddenly finds oneself apart from the real life of the others. You have to put down your roots where fate determined for you to live. You have to find your own way. Look for it independently, don't let anything turn you away from it, not even the memory of your mother and father. If you really love them, you won't hurt them by seeing them critically—just don't go on a road which is wrong, dishonest and does not harmonize with life. I have changed my mind many times, rearranged many values, but, what was left as an essential value, without which I cannot imagine my life, is the freedom of my conscience. I would like you, my little girl, to think about whether I was right. Another value is work. I don't know which to assign the first place and which the second. Learn to love work! Any work, but one you have to know really and thoroughly. Then don't be afraid of any thing, and things will turn out well for you. And don't forget about love in your life. I am not only thinking of the red blossom which one day will bloom in your heart, and you, if fate favors you, will find a similar one in the heart of another person with whose road yours will merge. I am thinking of love without which one cannot live happily. And don't ever crumble love—learn to give it whole and really. And learn to love precisely those who encourage love so little—then you won't usually make a mistake. My little girl Jana, when you will be choosing for whom your maiden heart shall burn and to whom to really give yourself remember your father. I don't know if you will meet with such luck as I, I don't know if you will meet such a beautiful human being, but choose your ideal close to him. Perhaps you, my little one, have already begun to understand, and now perhaps you understand to the point of pain what we have lost in him. What I find hardest to bear is that I am also guilty of that loss. Be conscious of the great love and sacrifice Pepik and Veruska are bringing you. You not only have to be grateful to them...you must help them build your common happiness positively, constructively. Always want to give them more for the good they do for you. Then perhaps you will be able to come to terms with their gentle goodness. I heard from my legal representative that you are doing well in school, and that you want to continue...I was very pleased. But even if you would one day have to leave school and to work for your livelihood, don't stop learning and studying. If you really want to, you will reach your goal. I would have liked for you to become a medical doctor—you remember that we talked about it. Of course you will decide yourself and circumstances will, too. But if you stand one day in the traditional alma mater and carry home from graduation not only your doctor's diploma, but also the real ability to bring people relief as a doctor—then, my little girl...your mother will be immensely pleased...But your mother would only be...truly happy, no matter where you stand, whether at the operating table, at the...lathe, at your child's cradle or at the work table in your household, if you will do your work skillfully, honestly, happily and with your whole being. Then you will be successful in it. Don't be demanding in life, but have high goals. They are not exclusive of each other, for what I call demanding are those selfish notions and needs. Restrict them yourself. Realize that in view of the disaster and sorrow which happened to you, Vera, Pepicek, grandmother and grandfather...and many others will try to give you what they have and what they cannot afford. You should not only not ask them for it, but learn to be modest. If you become used to it, you will not be unhappy because of material things you don't have. You don't know how free one feels if one trains oneself in modesty...how he/she gets a head start over against the feeble and by how much one is safer and stronger. I really tried this out on myself And, if you can thus double your strength, you can set yourself courageous, high goals...Read much, and study languages. You will thereby broaden your life and multiply its content. There was a time in my life when I read voraciously, and then again times when work did not permit me to take a single book in my hand, apart from professional literature. That was a shame. Here in recent months I have been reading a lot, even books which probably would not interest me outside, but it is a big and important task to read everything valuable, or at least much that is. 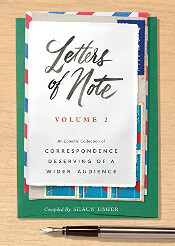 I shall write down for you at the end of this letter what I have read in recent months. I am sure you will think of me when you will be reading it. And now also something for your body. I am glad that you are engaged in sports. Just do it systematically. I think that there should be rhythmic exercises, and if you have time, also some good, systematic gymnastics. And those quarter hours every morning! Believe me finally that it would save you a lot of annoyance about unfavorable proportions of your waist, if you could really do it. It is also good for the training of your will and perseverance. Also take care of your complexion regularly—I do not mean makeup, God forbid, but healthy daily care. And love your neck and feet as you do your face and lips. A brush has to be your good friend, every day, and not only for your hands and feet; use it on every little bit of your skin. Salicyl alcohol and Fennydin, that is enough for beauty, and then air and sun. But about that you will find better advisors than I am. Your photograph showed me your new hairdo; it looks good, but isn't it a shame to hide your nice forehead? And that lady in the ball gown! Really, you looked lovely, but your mother's eye noticed one fault, which may be due to the way you were placed on the photograph—wasn't the neck opening a little deep for your sixteen years? I am sorry I did not see the photo of your new winter coat. Did you use the muff from your aunt as a fur collar? Don't primp, but whenever possible, dress carefully and neatly. And don't wear shoes until they arc run down at the heel! Are you wearing innersoles? And how is your thyroid gland? These questions don't, of course, require an answer, they are only meant as your mother's reminders. In Leipzig in prison I read a book—the letters of Maria Theresa to her daughter Marie Antoinette. I was very much impressed with how this ruler showed herself to be practical and feminine in her advice to her daughter. It was a German original, and I don't remember the name of the author. 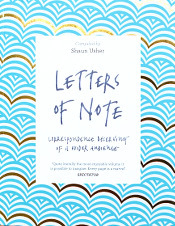 If you ever see that book, remember that I made up my mind at that time that I would also write you such letters about my experiences and advice. Unfortunately I did not get beyond good intentions. Janinko, please take good care of Grandfather Kral and Grandmother Horakova. Their old hearts now need the most consolation. Visit them often and let them tell you about your father's and mother's youth, so that you can preserve it in your mind for your children. In that way an individual becomes immortal, and we shall continue in you and in the others of your blood. And one more thing—music. I believe that you will show your gratitude to Grandfather Horak for the piano which he gave you by practicing honestly, and that you will succeed in what Pepik wants so much, in accompanying him when he plays the violin or the viola. Please, do him that favor. I know that it would mean a lot to him, and it would be beautiful. And when you can play well together, play me the aria from Martha: "My rose, you bloom alone there on the hillside," and then: "Sleep my little prince" by Mozart, and then your father's favourite largo: " Under your window" by Chopin. You will play it for me, won't you? I shall always be listening to you. Just one more thing: Choose your friends carefully. Among other things one is also very much determined by the people with whom one associates. Therefore choose very carefully. Be careful in everything and listen to the opinions of others about your girlfriends without being told. I shall never forget your charming letter (today I can tell you) which you once in the evening pinned to my pillow, to apologize when I caught you for the first time at the gate in the company of a girl and a boy. You explained to me at that time why it is necessary to have a gang. Have your gang, little girl, but of good and clean young people. And compete with each other in everything good. Only please don't confuse young people's springtime infatuation with real love. Do you understand me? If you don't, aunt Vera will help you explain what I meant. And so, my only young daughter, little girl Jana, new life, my hope, my future forgiveness, live! Grasp life with both hands! Until my last breath I shall pray for your happiness, my dear child!